Cyber threat actors continue to exploit unpatched software to conduct attacks against critical infrastructure organizations. As many as 85 percent of targeted attacks are preventable  (link is external). Visit here to see the details on and patches for the 30 targeted software threats. An attack takes down the web server. An office worker notices there’s no response and calls IT support. So a member of IT support goes to the server room. He sees the power is on and all the network cables look okay. He goes to the keyboard to login and sees there’s no shell. Nothing. Where’s the Operating System? Tell me your cybersecurity strategy. If you have a head for business you probably just said a few words to yourself. It was short. It was concise. It was more information than sentence. 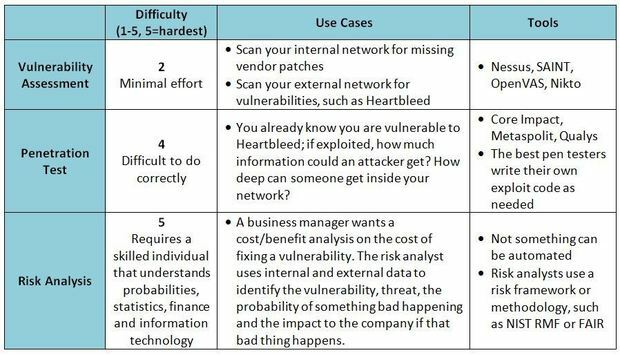 You know your cybersecurity strategy by heart. But if you’re a cybersecurity consultant then you’re probably still mumbling your pitch. The thing is that unless you’re in the business of selling cybersecurity products and services, you really only have one cybersecurity strategy: don’t lose money. And it’s an integral part of any modern business plan. So what exactly is a cybersecurity strategy? A strategy is a plan with the set of goals and objectives to get a specific result. A cybersecurity strategy is a cybersecurity plan with a set of cybersecurity goals and cybersecurity objectives to get cybersecurity as a result. Yes, useless. Fun fact for you. A cybersecurity strategy is useless. There you go. A free tidbit for you. Enjoy. If you’re on Jeopardy someday, the category is business and the answer is “useless” then you’ll be a big winner. You’ll thank me. A CEO gets lost deep in the mountains after dark. He whips out his trusty sat phone and calls the office to look up his location on a map. A cybersecurity consultant happens to pick up. The CEO explains his situation and tells him that he needs the fastest way out of the woods. The truth is that if you don’t have a cybersecurity strategy for your business it’s because you’ve inherently got one. You’ve never bothered to formally make one because it’s so obvious. Like how you don’t have a formal not dying strategy. Your cybersecurity strategy would likely say you don’t want threats of any sort affecting your assets of any sort now or in the future. Obvious. It’s such a no-brainer that if time-travel were invented next week and criminals could go back in time to rip you off then your cybersecurity strategy would still be obvious enough to also include that you don’t want to lose assets yesterday too. And you didn’t have to even write it down. Or pay a cybersecurity consultancy a Monopoly-style wheelbarrow full of money to do so. So if it’s useless, why is there such a focus on a cybersecurity strategy? Because tactics are hard. Too harsh? No, appropriately harsh. It’s easier (and safer) to make a cybersecurity strategy sound like something important despite meaning nothing than it is to make tactics that work. You look better longer too because a cybersecurity strategy can go on meaning nothing a really long time but tactics that mean nothing get noticed right away. And I mean that in a bad way not a Hollywood starlet way. I know it’s no surprise to you but cybersecurity is hard. Not only do we not know all of the possible threats but even if we did we still couldn’t know all of the shapes those threats could change into. Like if getting wet is a threat then what form will it take? Will it be snow, encroaching glacier, broken pipe, condensation, mis-forecasted hurricane, or the tears of a CISSP trying to create cybersecurity tactics? But knowing about threats and what to do about them is not needed or important in a cybersecurity strategy. Securing Company systems – Our clients trust our company with their personal and business information, and also trust us to deliver services to them. They also trust that we will act to protect and advance our business interests. We will put in place the necessary structures, tools and personnel to meet its obligations for cybersecurity. Partnering to secure vital cyber systems outside the company – Our economic prosperity and our cybersecurity depends on the smooth functioning of systems outside the company. In cooperation with partners and clients we will support initiatives and take steps to strengthen our cyber resiliency, including that of our critical infrastructure. Helping our users to be secure online – We will assist our employees and clients in getting the information they need to protect themselves and their families online, and strengthen the ability of law enforcement agencies to combat cybercrime. Now was there is a single thing in there that REALLY needed to be written down? How many meetings did it take to write that? How much consultant blood money? Check. Check. And Check! Got it! The message is don’t lose assets here just in case you missed it or wanna pay someone to tell you that. And do YOU have that? And I’m saying it’s OKAY that you don’t. Because there’s nothing in there that should be a surprise to you. It’s all obvious. Super like wearing a cape obvious. And not just obvious but actually illegal to not consider doing things like following “rule of law”. Not to mention the bit about values. Seriously, when’s the last time you thought, “Hey, I’m gonna undertake this task here and I’m not going to do it according to my values. Nope.” Assuming you know what your values are. Truthfully, I don’t think I can articulate my own values but I’m pretty sure it would take serious, conscious effort to do something that was not my in my values. Then again to express in writing that I will follow my values has no value to the people who don’t know what my values are or can even articulate their own. But it’s a plan. Right? We need plans. And a cybersecurity strategy is a plan. Without which we can’t be a cohesive team making solid cybersecurity, right? Right? Wrong. You don’t need fluff telling you that your partners and clients and their families need you to have your act together and not lose their assets or them as an asset or their money which is clearly an asset. You know that. And you probably already have that in your business strategy under the heading Don’t Lose Assets. But to have a cohesive team making solid cybersecurity you do actually need to outline what you do. Yes, you do. And luckily for you, in cybersecurity, that do is to prevent losing assets. And everyone who wants to be in cybersecurity of any kind already knows this and cares about it and is in no way not thinking that their job is the opposite of not losing assets. Those cybersecurity professionals aren’t freaking out about the cybersecurity strategy. And telling them is just so not helpful it’s offensive. You see, a cybersecurity strategy is about as effective as someone telling you to calm down and relax when you’re having an argument. No, you don’t need strategy. What you need are tactics. And you need to hire the people who know cybersecurity tactics. Cybersecurity tactics are the rubber meets the road. They are the match striking the slate. They are literally the packets smacking the server. They are the way you do the thing you do to the things you have to to have cybersecurity. And that’s hard. But you don’t need a cybersecurity strategy because you’ve already got one. All uses of “cyber” in this column are for keyword use only and by no means does the author imply that using such language is appropriate or cool. Furthermore this author does not condone nor deny the use of the word cyber in any way because the author is okay with the word in general, despite its original definition, because language is a living thing and meanings change. Brigham and Women’s Hospital has formed a partnership with a San Francisco-based seed-stage investment fund in an effort to test and potentially integrate digital health startup innovations into the Boston hospital. The hospital formed an affiliated medical partnership with Rock Health, and the two organizations are currently in the midst of finalizing plans. The partnership is expected to begin this summer and last three years. Lesley Solomon, executive director of the Brigham Innovation Hub at Brigham and Women’s Hospital, said the idea is to validate the innovations being funded by Rock Health. The Innovation Hub helps support internal startups and hosts innovation competitions. Solomon said executives were hopeful that Rock Health, a seed-stage venture fund focused on digital health startups, would also look at investing in Brigham technology, though that wasn't the intended purpose of the relationship. The startups will be focused around digital health, including devices that connect to the cloud, apps and software platforms, and telemedicine. The Rock Health partnership also offers Brigham new access to California startups. "It doesn’t limit us from partnering with others, but for us we’ll have the opportunity to talk to the best, work with the best," Solomon said. "And they are based in San Francisco, where we don’t have a presence, so it helps us get access to startups we might not know about here." Venture capital firm Bessemer Venture Partners, which has an office in Boston, was a lead investor in Rock Health. Former National Coordinator for Health IT David Blumenthal, MD, penned a blog in the Wall Street Journal's "The Experts " addressing the potential for health IT as well as challenges related to interoperability and outdated privacy and security regulations. Now president of The Commonwealth Fund, Blumenthal wrote about various scenarios in which health IT tools and mobile applications could help people track and monitor their healthcare by providing interactive, real-time information. But, those advancements can't happen unless electronic devices can communicate with each other. Many EHRs, mobile devices and personal sensors can't exchange information at this point for a variety of reasons but most importantly because "healthcare organizations are fearful of sharing patients' data since it will liberate their customers to go elsewhere for their care." And, EHR vendors are "charging prohibitive fees and creating other barriers to information sharing" to make it more difficult for customers to "switch out one [EHR] for another," he wrote. Blumenthal also wrote that the current privacy and securitiy regulations were conceived and implemented before the internet existed and therefore, "don't offer adequate protections for the 21st century. "If people can't trust the privacy and security of cloud-based health records, they won't feel comfortable using them." The obstacles, "mostly human in the making, can be solved by humans if the will exists. If we find a way, the healthcare future will be far brighter for all of us." UnitedHealthcare has announced that it will now cover video visits from Doctor On Demand, American Well’s AmWell, and its own Optum’s NowClinic, which is a white-labeled American Well offering. The insurance company pointed out that the average price of a video visit is less than $50, and as part of its coverage for the service its members will still be responsible for a portion of that fee depending on the deductibles, copays and out-of-pocket expenses associated with their specific benefit plan. The payor pointed to the growing lack of providers in the US, according to the American Association of Medical Colleges, there’s a shortage of 45,000 primary care physicians. United said it’s especially a problem for those in rural areas, which is where 25 percent of the country’s population resides. This group of people have limited access to healthcare, especially subspecialty care. "UnitedHealthcare is developing innovative telemedicine solutions that enable consumers, especially people who live in rural areas of the country, to access quality, cost-effective health care, whether at home or on the go," UnitedHealthcare CEO of the Commercial Group business Jeff Alter said in a statement. "Consumers can save time and money choosing among quality physician groups from the convenience of their smartphone, tablet or home computer at any time of the day." All three offerings allow patients to schedule a video visit via mobile device or desktop with physicians who can discuss and send prescriptions for a wide range of conditions including bronchitis, cough, sinus infection, sore throat, UTIs, vomiting, diarrhea, fever, pinkeye, and flu. Coverage for video visits is currently just available for self-funded employer customers, but UnitedHealthcare said it would cover employer-sponsored and individual plan participants in 2016. A United spokesperson told MobiHealthNews in an email that they chose cover video visits from a couple of remote visit service providers to give their members more choice when they seek virtual care. Together the three services reach 47 states and Washington, D.C. UnitedHealthcare members can find a list of participating video visits care providers through UnitedHealthcare’s Health4Me smartphone app — it is available on the "Find and Price Care" page. App users will not only be able to browse the provider groups, they will also be able to view the cost of a virtual visit with each contracted provider group. Earlier this week, Doctor On Demand announced that MultiCare Health System would offer the company’s video visits service to Washington-based patients. The new service is co-branded as MultiCare Doctor On Demand, and allows anyone in the state of Washington to communicate with a physician about different medical issues. Atrius Health, a Newton, Mass.-based nonprofit multispecialty medical group, is the latest organization to open its own innovation center. The nonprofit will invest $10 million in a place that will aim to develop and improve patient-centered care delivery models. Atrius, which is part of a Pioneer Accountable Care Organization (ACO), joins other health systems and hospitals, including New York Presbyterian, Hospital for Special Surgery, and Cleveland Clinic that have created specialized innovation arms of their organization. While those have focused specifically on technology innovations, this one will be more about risk-based sharing models. "As the industry continues to move towards increased risk sharing, accountability and transparency around performance, increased patient engagement, and demands for big gains in efficiency, it is requiring us to rethink how we deliver care," stated Daniel Burnes, M.D. Transition CEO of Atrius Health. Atrius says not only will the Innovation Center be an independent business unit within Atrius Health, but will be overseen by an advisory board consisting of membership from the Atrius health board and the organization’s senior leadership.